Chuck Booth (Lead Baseball Writer and @chuckbooth3024 on twitter)- As the world of Twitter and Facebook has invaded the internet these days, I am brainstorming about all sorts of stats I have had in my head for years. This stat came to my head because of Gary Sheffield. A few years back, I watched a game on my birthday at Safeco Field. It was the New York Yankees and Sheffield visiting. There are players that you are sure to watch live in person. Gary Sheffield was one of these hitters. 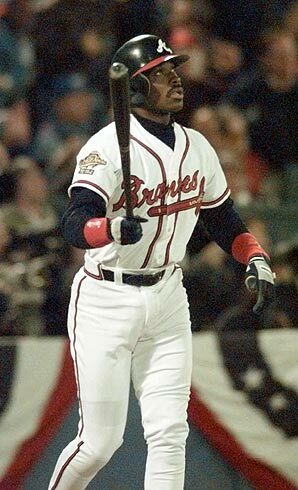 Not only is he one of 25 player in history to hit 500 HRs, but he had one of the fiercest swings ever. The man would wiggle that bat back and forth like a toothpick before striding and swinging with daunting ferocity. It was an unorthodox style that must have made Little League coaches cringe, yet it was effective. Sheffield was a bit of a hot head though, this may have led to him being traded or not re-signed by several teams. Hitting 40 HRs for 6 different teams is definitely impressive and may never be duplicated. I knew he had played on several teams already so the seed of today’s article was planted back in 2005. 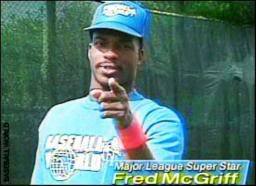 Fred McGriff was the exact opposite of Gary Sheffield when it came to temperament. 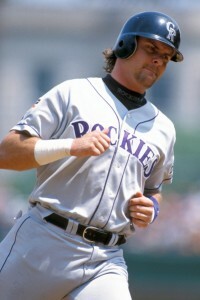 This man was traded several times in his career because he could flat-out hit. Jose Canseco is the only other player besides McGriff and Sheffield to hit 40 HRs with 5 different teams. The reason many older players are not on this list is because free agency never arrived in the MLB until the early 70’s when Curt Flood challenged a trade and the Players Union saw it through. Now player movement has enabled more players switching teams each season than ever before. Rusty Staub was the 1st to make this list and Alfonso Soriano is the last player to make this list and the only current player left. I have a feeling we will see more players arrive on this list in the next 25 years. MLB reports – Rob Bland: Expanding the playoffs has been a hot topic for many years now. While the move will not be as drastic as when the MLB added the first wild card team in each league, it has drawn the ire from a lot of critics. In 1994, MLB was to use the postseason system currently in place; however the season was cut short due to a player strike. It was then that the MLB went to three divisions in each league (East, Central, and West) as well as a wild card team (the best non-divisional winner record in the league). The American league Divisional winners would have been the New York Yankees, Chicago White Sox in the Central and Texas Rangers in the West (with a record of 52-61). Conversely, the Cleveland Indians would have been the wild card winners at 66-47. In the National League, the East would have been won by the Montreal Expos, who had the MLB’s best record of 74-40. The Central and West would have been won by the Cincinnati Reds and LA Dodgers, respectively, while the wild card winner would have been the Atlanta Braves. However, due to the strike, which also shortened the following season, 1995 was the first year this system actually came into play. This season saw a shortened 144 game schedule. The NL East winners, Atlanta Braves had to go through the slugging Colorado Rockies; the first NL wild card team. They then faced the Reds, and the eventual World Series Champions Cleveland Indians. The Indians took a very peculiar path to the World Series. After leading the MLB with a 100-44 record, the Indians faced the Boston Red Sox, winners of the AL East, who had the 2nd best record in the American League. The Yankees were the wild card winners, who were defeated by the Seattle Mariners in the AL Division Series. 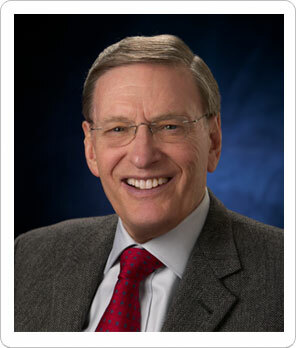 The current Collective Bargaining Agreement between the commissioner, Bud Selig, with the MLB and its players’ union expires in December of this year, and an extension of five years is expected to be reached any day. One of the main hold-ups to a deal is the addition of another wild card team. The 2nd best non-divisonal winner would get into the playoffs. This may not seem like much, where every other major sports league in North America has at least 3 “wild card” teams, but in baseball, tradition is always at the top of people’s minds. Adding a team to each league’s postseason picture could lengthen the MLB season, which is something that is a major concern to most people involved in the process. One option that was bandied around was to have the two wild card teams face off in a best 2 out of 3 series. The advantage of this short series is that both teams that didn’t win their division would have to play extra games while the winners get a short break to recuperate their injured players. Also, the extra games give opportunities to more teams to earn extra postseason revenue, which benefits the league. However, the extra 2-4 days off that the other teams would have to endure could also cause a team to lose its momentum gained at the end of the season. However, it is believed that the MLB will go to a one game sudden death playoff between the two wild card teams. In my opinion, the biggest advantage to this is that it gives the winner of the game a monumental disadvantage going into the second round. The wild card teams would be forced to pitch their ace in the playoff, and therefore would not be able to pitch until at least game 3 of the next round. This means the team’s best starter would only get one start in a best of 5 series. Not only would the team with the best record in the league have home-field advantage, but they would see their opponent’s best pitcher in only one game. In the current state of the MLB postseason, ten wild card teams have made it to the World Series, out of a possible 34 teams going back to 1995, including 2011. 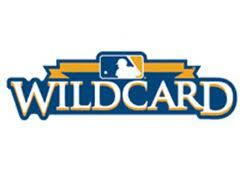 Roughly 29% of wild card teams make it into the World Series. If you figure that 1 out of 4 teams in each league make it to the World Series, or 25%, then you have a better chance of making it as a wild card than as a divisional winner. Four World Series have been won by wild card teams. 25% of World Series have been won by a team that should have a distinct disadvantage, but obviously do not. It is due to this that MLB must make it a bigger hindrance for not winning your division. Playing an extra game, extra travel and burning your ace are ways to weaken a wild card team’s chance of making it to the World Series. With the union and MLB reps meeting every day trying to hammer out the extension for the CBA, you should see the added teams in the playoffs in 2012 or 2013. It is widely expected that the deal will be reached in the middle of the World Series to take advantage or the added publicity it would gain. I am fairly certain that the new playoff format will come into effect for the 2012 season, and there will be a lot of teams looking to push the envelope and make an appearance. Game 2 was a bit of a surprise, as Jaime Garcia, whom many picked to implode in this guy, had a great start. Through 7 solid innings, he gave up only 3 hits and 1 walk to 7 strike outs. Colby Lewis was equally as impressive until the 7th inning, where he was able to strike Matt Holliday out to lead off the inning. David Freese then singled and Yadier Molina flew out. Nick Punto then hit a ground ball towards first base that went off of Michael Young’s glove and into right field, moving Freese to third. With runners on the corners and one out in the 7th, Alexi Ogando came in to face the hitter in the pitcher’s spot. That hitter: Allen Craig. The same hero of game 1 that hit a single to right field that scored the go ahead and eventual winning run. Craig promptly lined a ball to right field to score David Freese, breaking the dead lock. What would a playoff game be without drama? Jason Motte came in the 9th to close out the 1-0 game. So far in the postseason, he had given up 1 hit in 29 plate appearances. Ian Kinsler led off the inning with a bloop single off the end of the bat. Elvis Andrus came up to the plate and looked to get a sac bunt on the ground, but Kinsler decided to take matters in his own hands, and stole second base by the smallest of margins. Andrus then lifted a 2-2 pitch to center field for a single. While Kinsler was held at 3rd, Cardinals CF Jon Jay threw the ball wide of the cutoff man, which allowed Andrus to slide safely into 2nd base. Manager Tony La Russa then yanked Motte for lefty Arthur Rhodes to face Josh Hamilton. On the first pitch, he hit a fly ball to right that scored Kinsler and advanced Andrus to third. Even more like La Russa, he brought in Lance Lynn to face Michael Young, who hit a 3-2 curveball deep enough to center to scored Andrus, and the Rangers lead the game 2-1. Rangers closer Neftali Feliz took the mound in the bottom of the 9th and walked Yadier Molina on 5 pitches 97 mph or faster, hitting 100 on the radar gun with the first pitch. Nick Punto came to the plate, bunted two balls foul up around his eyes, then swung feebly to strike out. Feliz then struck out Skip Schumaker and induced a fly ball off the bat of Rafael Furcal to seal the victory. With the series tied at one game apiece, an off day tomorrow and game 3 slated for Saturday night in Texas, this series is only going to get better. Keep checking MLB reports for your daily fix of updates on the World Series. Today’s feature was prepared by our Baseball Writer, Rob Bland. We highly encourage you to leave your comments and feedback at the bottom of the page and share in the discussion with our readers. You can also follow Rob on Twitter. 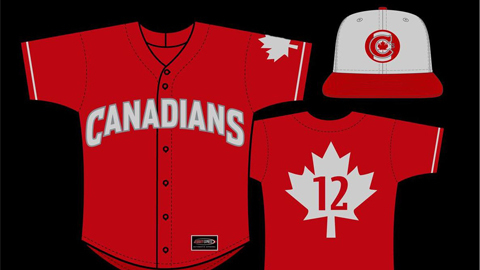 MLB Expansion or Realignment: Should Canada get Another Baseball Team? April Whitzman (Blue Jays Writer- MLB reports): Should Canada get another Major League Team? It’s been a question that has been discussed ever since the Montreal Expos got relocated to Washington at the end of the 2004 season. However, with the increased popularity of the Toronto Blue Jays nation-wide and the success of sports in large Canadian cities such as Vancouver and Montreal, it is a debate that is getting considerable attention. Here are my thoughts on the possibility of either MLB adding a new team to Canada or on having one relocated north. Let’s start with the possibility of whether Vancouver could support a Major League Baseball team. To begin, it should be considered that baseball interest has increased significantly in the city ever since the Vancouver Canadians became a Low-A affiliate of the Toronto Blue Jays. The Vancouver discussion has since shifted venue with the newly-renovated B.C Place Stadium. With over $600 million in upgrades and retrofitting, it is presently one of the most impressive structures in North America. Let’s also take into account the size of Vancouver; with a surrounding area population of nearly three million, it is one of the biggest cities in the USA or Canada not to have a team. Not only that, but there is history of baseball in Vancouver. In fact, BC Place Stadium hosted annual exhibition games for the Seattle Mariners back in the nineties when the Pacific Northwest Club had not yet moved into Safeco Field, and attendance was very acceptable. In fact, the exhibition games against the Toronto Blue Jays drew approximately 40,000 fans per game. Prior to being relocated to Sacramento, Vancouver also had an AAA-affiliate team that played out of Nat Bailey Stadium for Major League teams including the then California Angels, Oakland Athletics, Milwaukee Brewers, and Los Angeles Dodgers. Once again, Vancouver residents proved that baseball was important to them by having very good attendance at the games. Thus, taking all of this into consideration, the question is asked again – Is there a future for MLB in Vancouver? As Forsyth states, it is definitely a tough sell. But, I believe that due to the increased publicity of Vancouver as a land of sports (thanks in part to the 2010 Winter Olympics), it is evident that fans in Vancouver would love a MLB team in their city… they’d just need to win! On a personal note, I should admit that the only time I have seen my father cry was during the Montreal Expos final home game. While I was only 17 at the time, I remember it perfectly like it was yesterday. It was September 29, 2004, and the Expos lost 9-1 to the Florida Marlins – definitely not the way the wanted to end their career in Canada. 31,395 fans were in the stands, including myself, and of course, my weeping father. While they lost their last home game, the Expos finished their season with a win, defeating the New York Mets by a score of 8-1 on October 3rd. That was it, after 36 seasons, 2,753 wins, 2,942 losses, 2,786 home games, 2 inadequate ball parks, and 108,858,412 fans who saw only one single postseason appearance. The Montreal Expos were no more. Still people ask: could they come back? This question is asked even more on a regular basis now that the NHL has brought back the Winnipeg Jets and that their fan base has doubled. But could the same occur for the Montreal Expos? Personally, I think that it is a harder sell for Montreal than Vancouver, as there are many improvements they would need in order for this unlikely dream to become a reality. For starters, the reincarnated Expos franchise would absolutely need a new stadium. While I loved the park as a kid, Olympic Stadium is simply not a good place to play baseball. This new stadium should also need a retractable roof. While Montreal has always been against having a retractable roof, they need it due to the weather in the early and late parts of baseball season. And by having it retractable, the new team could play outdoor baseball – and still not have any weather-related postponements at home, just like its Canadian counterpart, the Toronto Blue Jays. Similar to Vancouver, another aspect that must occur is that the team will need to be successful. Montreal is tired of having losing teams and if the Blue Jays are any indication, fans only go to the games if there are top-tier players (Jose Bautista, Brett Lawrie, etc) playing. Lastly, if Montreal does receive a team, there is one final thing that must occur – the team needs to be called the Montreal Expos. As comparable to the new Winnipeg Jets, fans need the history behind the franchise. Keeping the name is the only way this can be done. (Of course, signing Montreal native and current New York Yankee catcher Russell Martin could also be a great addition to the team). Many blame the downfall of the Expos on the fans and on the fact that most of the population is French, resulting in a barrier between the players and fans. 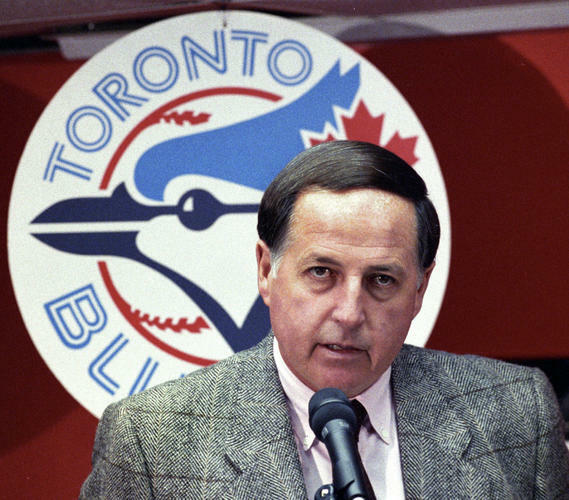 However, I still place most of the responsibility on the 1994 strike-suspended season which stopped the Expos season, which was on pace to win 105 games that year. 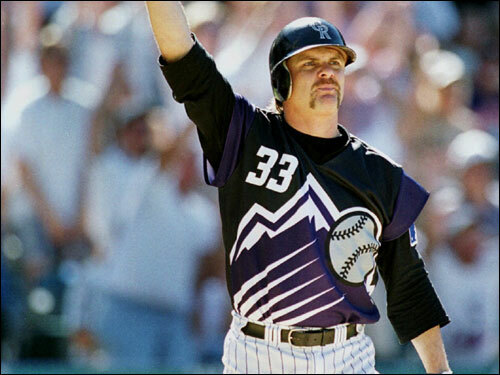 This disenchanted the fan base, and within two years the team parted with Marquis Grissom, Larry Walker, Delino DeShields and John Wetteland, and the foundation began to crumble. Thus, I do not think the fans are to blame, but rather the lost season which ended up being the team’s downfall. As in Winnipeg, I believe that only the fans would be able to bring baseball back to the city. Another issue, however, is the competition that would arise between the Montreal Expos and the Toronto Blue Jays. No, I am not referring to the rivalry that used to occur every Canada Day (July 1st) between the two teams, but instead, to the competition that would occur on network television and within the media. There is no doubt that competing television interests put the Expos in direct competition with the Jays in the 80s and 90s and set Montreal on a downhill slide. With Rogers Sportsnet already taking precedence of the Blue Jays and growing a larger fan base by the minute, my guess that media and broadcasting would definitely be a slippery slope if the Expos were to return as well. While Quebec does love its hockey, it is apparent that many miss the peanuts and crackerjacks in their province. They have since tried to fill the void in their lives with a successful independent Can-Am league ballclub that is only a few hours away (in Quebec City) from Olympic Stadium. Despite the team’s success, I still agree with Gilles Taillon, Baseball Quebec’s administration director, as he stated: “For MLB to come back to Montreal, it would have to go through the Minor League route first.” As opposed to Vancouver, Montreal presently does not have a minor-league team to gauge MLB interest in the province. With strong rumors that Ottawa could be receiving an AAA team in the near future, Montreal should make bids and efforts to gain a team as well. If that team is successful and fans prove there is dedication, there is always possibility that Major League Baseball could arrive in Montreal in the future. There are many questions that arise if in fact a team did move north to Canada; the first of which, is deciding which league it would join. 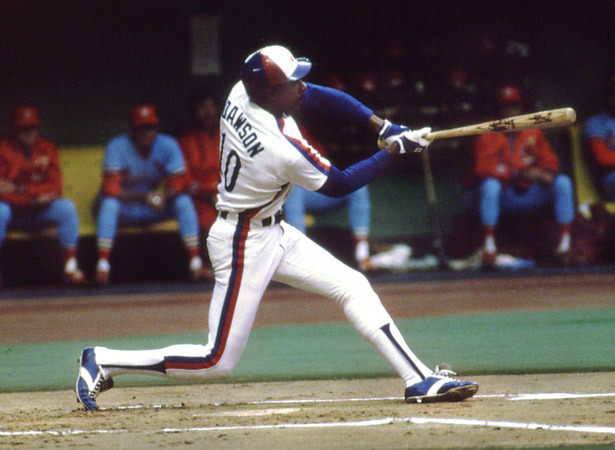 Many speculate that the new team would join the National League, where the Expos once reigned. Despite the fact that the first Canadian team played in the NL and has historical rivalries there, the American League might be a better fit. The NL already has two extra teams, thus, by adding a team to the AL, it would represent one more step in leveling the playing field. Specifically, and certainly if a team were to move to Vancouver, I would move the team to the AL West. This would not only enable strong competition with the Seattle Mariners (only about 150 miles from Vancouver), but would bring in a perfect rivalry with the Toronto Blue Jays, as they have British Columbia native, Brett Lawrie. Another option, however, is to relocate a team to a Canadian city. The first team that comes to mind is the Tampa Bay Rays, as both their field, and their fan base are diminishing despite productive seasons and exciting players. In the case of such a relocation, I would not keep the newly moved team in the AL East, but rather I would move the team to the AL West for the reasons explained above. If a team needs to be re-added to the AL East, my thoughts would be to add the Detroit Tigers to the division (who should have never left the east in the first place in my opinion, based on its rivalries with the Jays, Orioles, Yankees and Red Sox). Overall, these are just my personal thoughts, which only touch the surface of whether Canada should get another Major League team. That being said, I would love to hear your opinions! So be sure to email your comments to MLBreports@gmail.com or to post them at the bottom of this article and add me to Twitter at @Alleycat17. Looking forward to hearing from you! 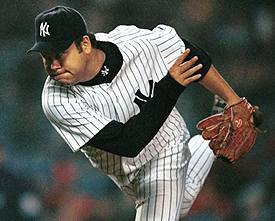 MLB reports: Hideki Irabu was born on May 5, 1969 in Hirara, Okinawa. Irabu played in Japan (Nippon Professional Baseball) from 1988-1996 and then again from 2003-2004. In North America, we will most remember Irabu as a member of the New York Yankees from 1997-1999. Irabu also played with the Montreal Expos from 2000-2001 and the Texas Rangers in 2002. The baseball world sadly lost Hideki Irabu on July 27, 2011, an apparent victim of suicide. A loss to the baseball world at the tender age of 42, Irabu was survived by a wife and two young children. The story of Hideki Irabu is well-known in the baseball community. He had his contract purchased by the San Diego Padres from his Japanese club, the Chiba Lotte Marines. Irabu refused to sign with the San Diego Padres and stated his intention of only playing for the New York Yankees. The Yankees were able to swing a deal for Irabu’s services, for a package of players including Ruben Rivera and cash. 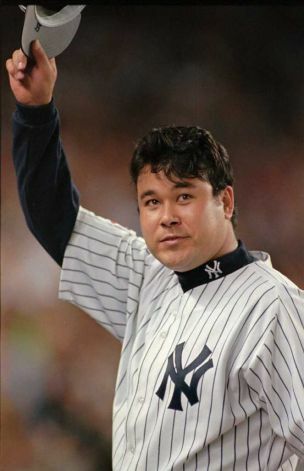 Hideki Irabu ended up making his debut with the Yankees on July 10, 1997 and for his career pitched in 74 games for the Yankees over 3 seasons (64 starts). 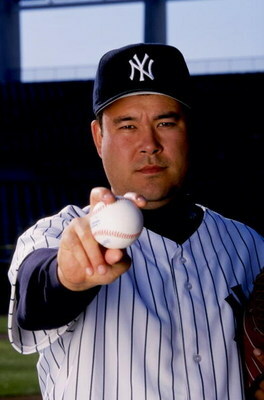 Irabu won back-to-back World Series rings in New York in 1998 and 1999. He was then traded to the Montreal Expos for Ted Lilly, Jake Westbrook and Christian Parker. A good haul for the Yankees considering the career spans of Lilly and Westbrook (had they stayed in New York). Irabu then signed with the Texas Rangers as a free agent and played out his last MLB season as a closer before returning to Japan to resume his NPB career. After a stint in independent baseball, Irabu apparently had the intention of returning to Major League Baseball, but alas a comeback was not in the cards. Reports have indicated that Irabu hung himself in his California home, with autopsy results to follow. Today we look at the career of Hideki Irabu and the road that led to his untimely passing this year. Injuries played a part in Irabu’s MLB career. 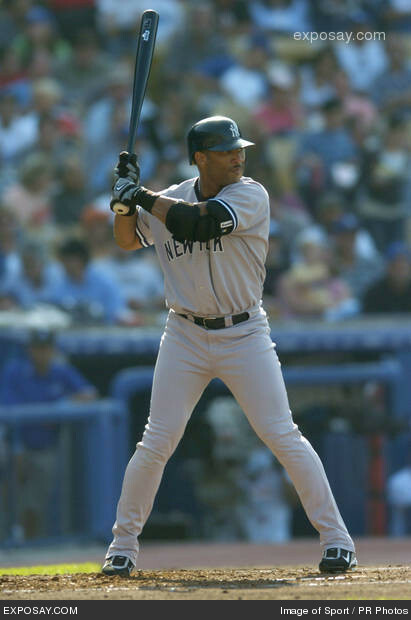 Irabu had both knee and shoulder surgeries after leaving the Yankees and blood clots ultimately led to his retirement from Major League Baseball following the 2002 season. Bouts of heavy drinking, depression and rage also factored into Irabu’s career. But despite all the distractions and factors that led to his unravelling in baseball, Irabu did show some glimpses of promise. In addition to the two world series titles he earned in New York (despite playing in only one career post season game in 1999, giving up 7 ER in 4.2 IP to the Red Sox in the ALCS), Irabu had his best numbers during his time with the Yankees. He earned both of his career shutouts in New York. His best statistical season was 1998, where he went 13-9 for the Yankees, with a 4.06 ERA and 1.295 WHIP. As a closer for the Rangers in 2002, Irabu earned 16 saves. That unfortunately went together with a 3-8 record, 5.74 ERA and 1.426 WHIP. For a proud young man who fought hard on and off the field, his major league career was taken from him much too early. 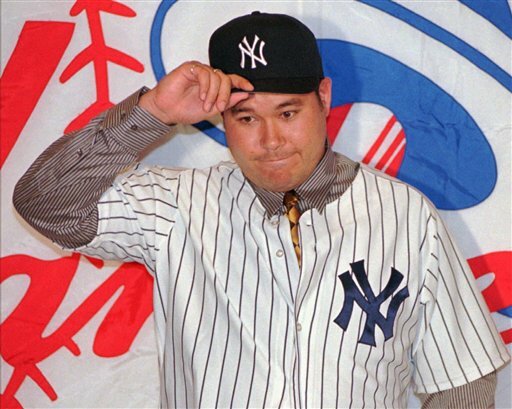 Despite attempts at a comeback, we never did see Hideki Irabu in a MLB uniform again after the 2002 season. In our society, it is much too easy to write off the passing of another human being, especially a celebrity, without considering the person behind the name. Granted Irabu faced many demons in his life and career. But I think some people feel the need to label a player like Irabu an alcoholic and rageaholic and simply write him off when learning of his passing. That is a tragedy in my estimation. When I learned of Irabu’s passing, my immediate thoughts led to Donnie Moore. 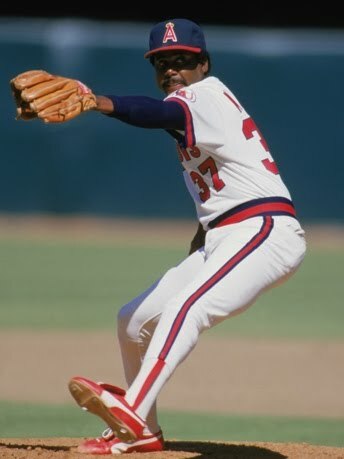 For those of you not familiar, Moore was the Angels pitcher that gave up the tying and winning runs to the Red Sox in game five of the 1986 ALCS. Many critics pointed to Moore as the reason that the Red Sox ended up beating the Angels and advancing to the World Series. Moore was a popular target of Angels fans the following seasons and ended up shooting his wife and taking his own life. A tragic story in itself, Moore like Irabu suffered from deep depression. But without analyzing and comparing both men too much, I believe that it was the name calling and the reputations of each men that contributed greatly to their respective passings. Victories and failures take place on baseball diamonds each and every day. Moore in the playoffs and Irabu in New York, suffered their failures on some of the biggest baseball stages that you can find. Had their losses been forgotten and each man allowed to continue fresh, they may have enjoyed longer and productive careers in baseball. They may have also been able to enjoy their personal lives to a greater extent and still been with us today. But the stigma of failure which was likely reminded to Moore and Irabu for most of their last days on this earth, was likely too much for each to bear. Hideki Irabu, being of Japanese descent, was a very proud man. Respect and reputation are considered very important in Japanese circles and criticism is often not taken very well. Irabu, like Ichiro Suzuki after him, had a lifelong battle with the Japanese media. Being of mixed descent, Irabu rarely discussed his background which was a difficult subject for him. Before coming to North America, the Japanese media labelled him with very strong nicknames, including the “Shuwozenegga” and “Kurage”, which translates to jellyfish, for the sting of his pitches. From there, being called the Japanese Nolan Ryan came with a set of expectations that Irabu could never live up to. 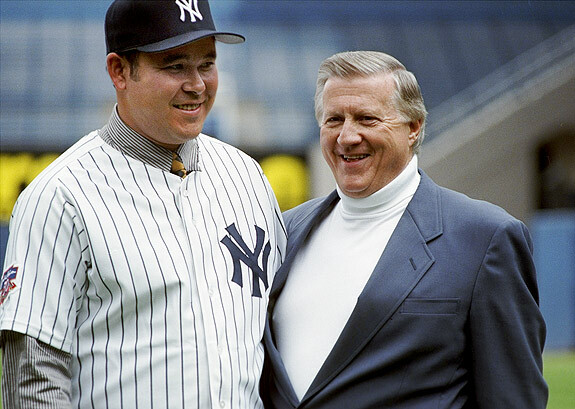 If that was not bad enough, the “fat toad” comment by George Steinbrenner stuck with him to his very last days. It was my understanding that Irabu through most of his MLB career could not be in any baseball cities, especially New York without hearing some reference to the toad comment. For a proud individual that did not take criticism well, such a nickname probably stuck within him like a dagger. By no means do I directly blame Steinbrenner for Irabu’s suicide. Far from it, as Steinbrenner lately expressed remorse for his comments and publicly apologized for his remarks. But the choice of media and select fans to continue to remind Irabu of the nickname most likely helped contribute to his passing. We cannot bring Hideki Irabu or Donnie Moore back. But we can learn from their passings and help other athletes avoid similar fates. I link the taunting of Irabu and Moore before him in public and media outlets to bullying in schools. We have read stories of children and teenagers being harassed in schools and outlets like e-mails and Facebook to the point that they are driven to taking their own lives. Words do hurt and a bully can be charged criminally. For those people that went up to Hideki Irabu in a restaurant and called him a “fat toad”, or approached Donnie Moore in a shopping mall and called him a “choke” and “failure”, think about the result of those actions in retrospect. Since athletes are in the public eye, that leads to many people feeling a sense of entitlement to judge and criticize players as they see fit. Irabu by earning over $15 million over 6 seasons in Major League Baseball, was apparently fair game as a target to all forms of criticism that people chose to throw his way. I have no issue with judging an athlete’s numbers on the field. Analysis and discussion is what sports is all about. But once we start with the name calling and viciousness, I feel that a line needs to be drawn. 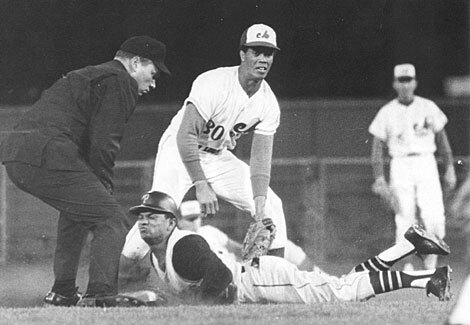 Donnie Moore and Hideki Irabu chose to become professional athletes and were in the public eye. That does mean that their wins and losses will be known to millions and discussed and analyzed by many. But sports can go to extreme levels. Homes vandalized. Children harassed. Even murders. Critics and extreme “fans’ can go to dangerous levels in criticizing athletes. While extreme situations, they do take place all too often. These instances stem from bullying, which is not acceptable in schools with children but allowable in public forums with public figures. We as members of society need to draw the line of what is acceptable in reviewing and criticizing athletes. Although they choose to be in the public light, they are still human beings with real feelings and emotions. Hopefully more people will remember that the next time they hurl disparaging remarks at an athlete, whether it be in a stadium, restaurant, radio talk show or newspaper. Words do hurt and in the case of Donnie Moore and Hideki Irabu, they can also kill. Donnie Moore, if you weren’t aware, played professional baseball for 13 seasons for 5 different teams. He had a career 3.67 ERA. His best season was 1985, where he has a 8-8 record, 1.92 ERA, 31 saves and 1.087 WHIP. He followed up the following season with 21 saves. He was an all-star in 1985, finishing 6th in A.L. MVP voting and 7th in A.L. CY Young voting. Moore also pitched two perfect innings for the Braves in the 1982 NLCS. But most people don’t remember those numbers. When they hear the name Donnie Moore, they think of the 1986 ALCS defeat and suicide. Hideki Irabu has now met a similar fate. Many people do not remember that Irabu was the man responsible for the Japanese posting system. By refusing to sign with the Padres, MLB helped institute the current posting system for Japanese players to come to North America. If not for Irabu, the entire system of transferring NPB players to MLB could be much different today. Irabu won two World Series rings and enjoyed some success in North America. Before that, Irabu enjoyed great success in Japan on the baseball diamond. But when people reflect on his passing, the main words that are spoken now are “fat toad” and suicide. Even in death, Irabu and Moore continue to be criticized and bullied. That is the saddest reality of all. MLB reports: The man with the straightest brim in baseball, Chad Patrick Cordero formally announced his retirement from baseball on Monday, at the tender age of 29. 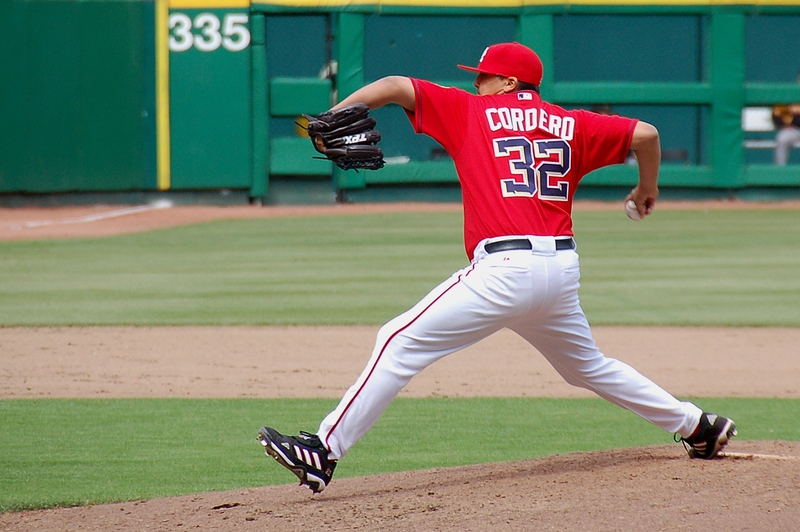 Cordero originally suffered a torn labrum and missed most of the 2008 season. He was never able to return back to full health and form following the injury and his 2010 season with the Mariners will remain his last in the majors. Chad Cordero was originally drafted by the San Diego Padres in the 26th round of the 2000 draft, and later was a 1st round pick of the Montreal Expos, 20th overall, in 2003. 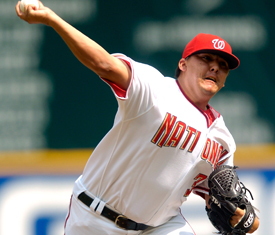 Cordero was one of the rare college closers who graduated to the same role in the majors. 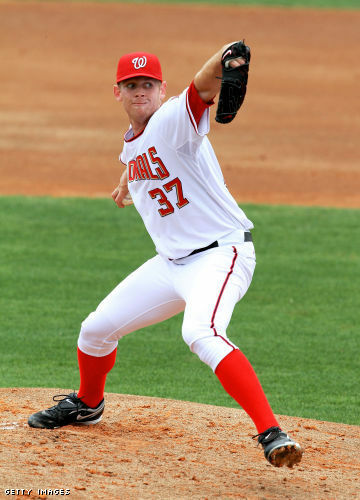 He attended Cal State Fullerton and made it all the way to a College World Series title. Cordero made his major league debut the same year he was drafted and stayed with the Expos/Nationals organization for the majority of his career. 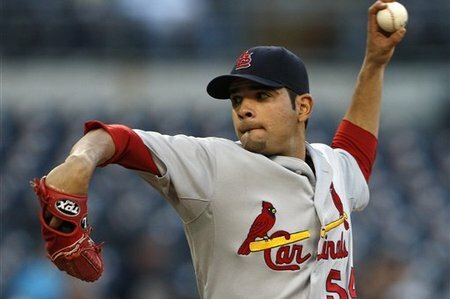 The year 2005 will always stand out as Cordero’s best, as he led the Majors with47 saves that year. Cordero was taken out of baseball in his prime and the game has lost one of its top relievers much too early. 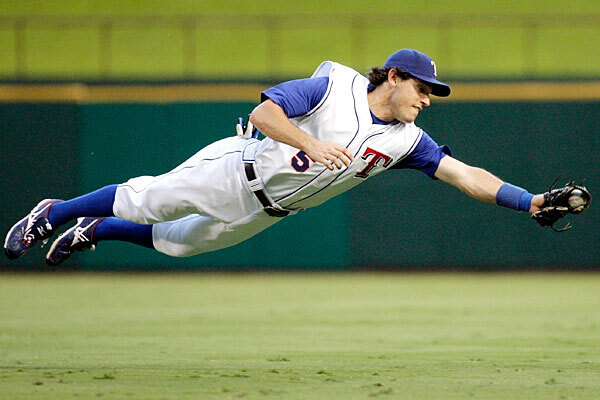 Cordero played with teamUSAin the inaugural edition of the World Baseball Classic in 2006. 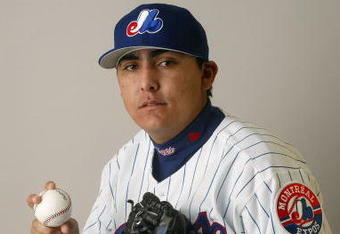 After departing from the Nationals in 2008, Cordero went on to play in the minors and majors for the Seattle Mariners. He also played in the minors for the New York Mets and Toronto Blue Jays organizations. Cordero was released by the Jays on May 17th and was last playing for the St. Paul Saints, an independent baseball team, before announcing his retirement on Monday. In addition to his baseball injuries, Chad Cordero has also suffered from personal tragedy. In December 2010, Cordero and his wife lost an eleven-week old baby daughter. The cause was Sudden Infant Death Syndrome (SIDS). Cordero is quoted as saying, “I’m just using her as motivation, trying to find strength. Because I know, now, she’ll always be with me, no matter what.” From the time of his daughter’s passing, Cordero has been active in raising awareness for SIDS. It is very uplifting to hear that despite all the adversity suffered by Cordero, that he could still work so hard to try to continue his baseball career, while assisting with SIDS awareness. SIDS is a subject that must be very difficult for Cordero and his family to discuss and deal with, but he still fights on to continue the memory of his dear daughter. A true fighter in every sense of the word, Chad Cordero gets our sympathies and respect. Cordero has faced many roadblocks and hills to climb and he has continued to see through all the hardships that life has handed to him. Still young, there is always a chance that Cordero could try to make a return to organized baseball. The torn labrum that he suffered though is not a “fixable” injury in the same category as Tommy John surgeries, which has become very common in baseball circles. It is unlikely that we will ever see the Chad Cordero of old on the mound and if he never returns to baseball, we will always remember him for the competitor he was on the mound. But given the circumstances surrounding his family, baseball and sports takes a back seat to the human element of life. We wish all the best to Chad Cordero and his family. For everyone that can go purchase a baseball hat today and leave the brim unfolded, wear your hat this week as a tribute to one of the best relievers in the game: Chad Cordero.